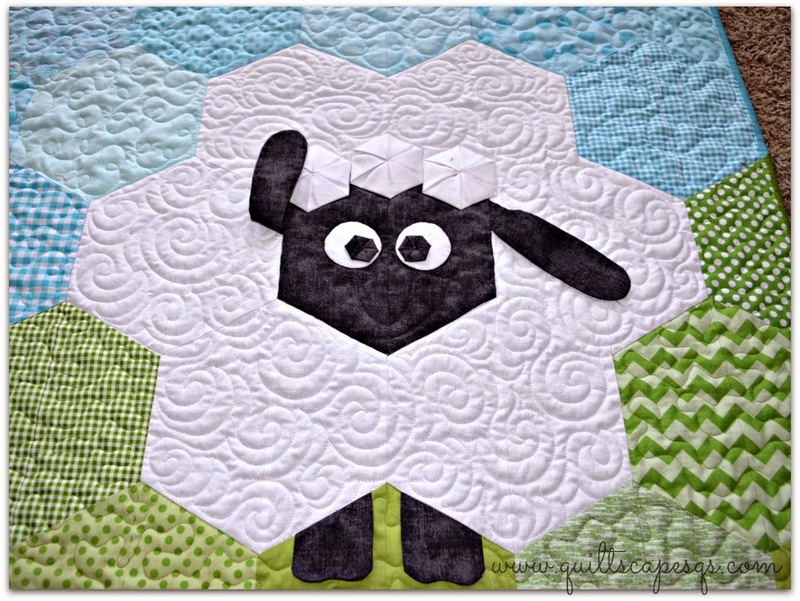 The Blogger's Quilt Festival, is going on right now at Amy's Creative Side! I always look forward to perusing this amazing virtual online quilt show each Spring and Fall, and this time, I can add one of my own original designs in the Small Quilts category. 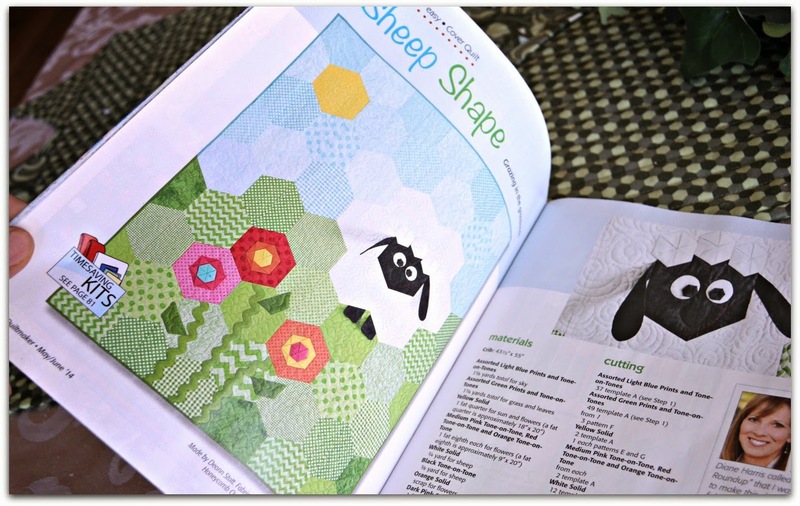 Quiltmaker magazine calls it "Sheep Shape"! 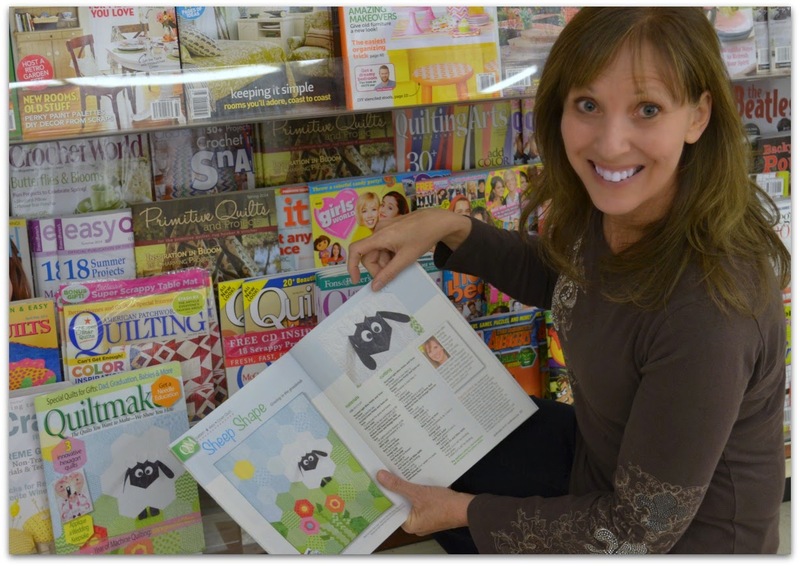 Yes, I was a little "Sheepish" (<< see that story) when I discovered that it was the Covergirl!!! And, yes, I may have lurked in the grocery store for a few extra minutes when I saw it on the rack! 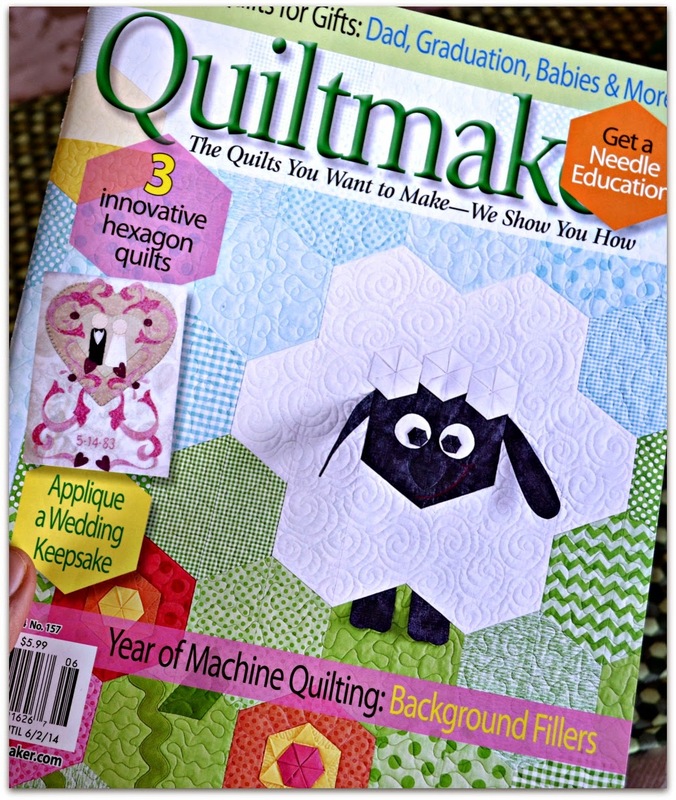 By the way, it's still on newsstands, or available online at Quiltmaker.com. 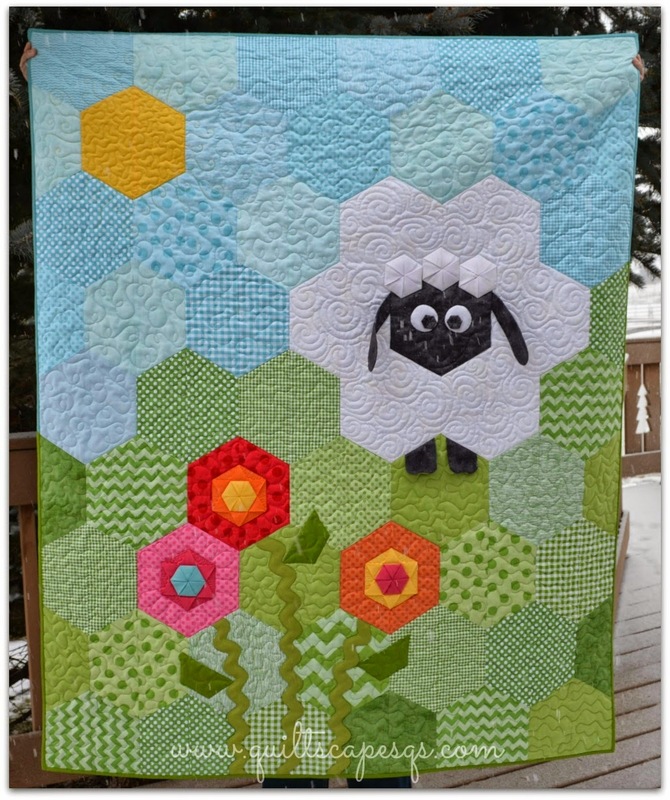 It was at last year's Quilt Market in Portland that the gals from Quiltmaker spied my little Hexie Meadow quilt. 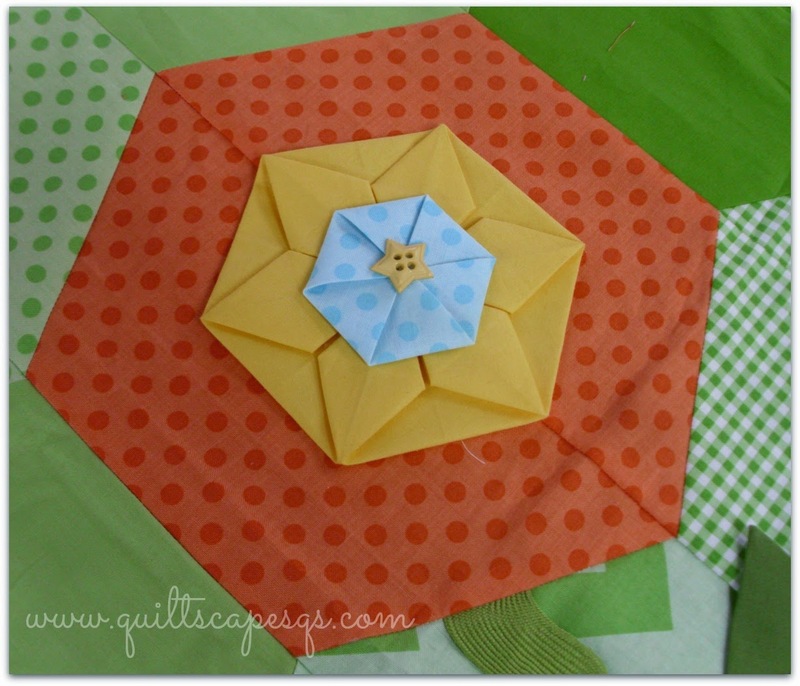 I was using it to demonstrate my "Hexagami" make & take dimensional flowers at the Riley Blake Designs' booth, when they invited me to submit the quilt for a future edition. Right now, the quilt is just wrapping up a trip to Quilt Market in Pittsburgh. Can't wait to see her again! Crib Throw, size 43-1/2" x 55"
Be sure to check out all the terrific quilts not only in this category: Small Quilts, but link to all the other entries here: Blogger's Quilt Festival. You can nominate your favorite quilt for Viewer's Choice this week HERE, and VOTE for your favorite quilts in each category beginning May 23rd. Don't miss this fantastic display of quilts and their stories, submitted by quilters from around the globe, inspiring and stitching us all together! Meanwhile... I'll be back at the farm... so to speak, herding more sheep (see a little flock HERE)! Love your sheep, it is so adorable! What a cute quilt, I love it. What a great face on your sheep! 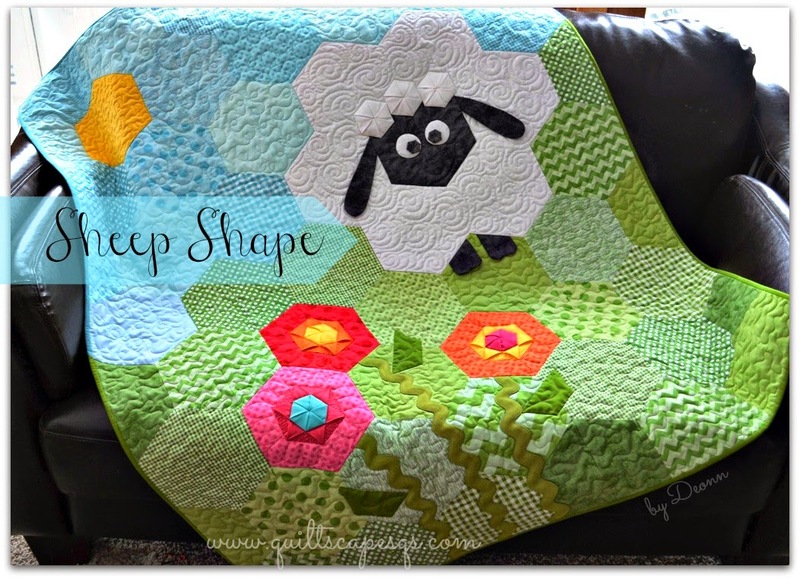 Such a fun quilt and awesome quilting! Beautiful quilt. Congratulations on the publication! I love your hexie sheep. I posted my mini version of your sheet on Quiltmaker's Facebook page. As soon as I saw the magazine, I had to stop everything and make it. Thank you for such creativity. OH. MY. Super cute, cute, CUTE! Can you tell me what the process is to get a quilt that you designed IN a magazine? Do you 'apply'? Thanks Karin - In this case, they asked me, but in most cases, there is usually submission information in the magazine, or online. I've only done this once before, and that was also a result of the magazine rep seeing the actual quilt. This is really cute Deonn! Love it! Looks like a sheep Sean - children's favorite hero! That is such a fun design and adorable! Love it! I have already got the Magazine and it is on my LIST! #20 Grandbaby NEEDS this quilt. What an adorable quilt. It's just too cute. Beautiful quilting too. I can't wait to get started on this quilt. I ordered the back issue magazine. I am going to order the rulers and quilt kit now. Think I will use plush rosebud or plush supra for the sheep. Thanks for your great design.